What the Heck is in Arbonne Cosmetics? Are just some of the claims put forward by Arbonne Cosmetics and their reps. I have had several people tell me that they only use the "all natural" line of Arbonne products. Always READ ALL OF THE INGREDIENTS yourself. This is not a natural line of products. 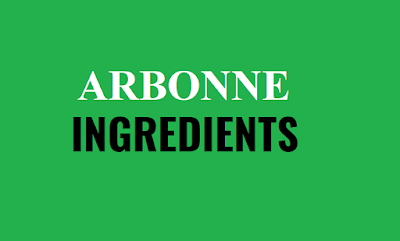 In my opinion Arbonne is just another green-washing company. There are plenty of truly safe and truly organic products on the market now so there is no need to put junk on your skin. And their products are full of synthetic ingredients. I read through the ingredients in all of their products listed as of this date. of their products on my own skin. after clicking on a product, click on the ingredient tab below the product image. Don't be fooled by "Key Ingredients" - This could be a minuscule ingredient in the product...They "key" to "key ingredients" is to make you believe that the primary ingredient or ingredients are healthy and natural and nothing could be further from the truth. Do people really need a product packed with this much "stuff"? These are just the ingredients of most concern in this product, many of the other ingredients are synthetic, silicone, plastics, or have not assessed for safety in cosmetics with little information. Octislate - Possible immune effects, suspected to be an environmental toxin, penetration enhancer, absorbs and permeates into the skin, Contact sensitivities, allergies. Octocrylene - Produces excess reactive oxygen species that can interfere with cellular signaling, cause mutations, lead to cell death and may be implicated in cardiovascular disease. Wildlife and environmental toxicity, absorbs into the skin, found to accumulate in fish living downstream of wastewater treatment plants. Octocrylene can penetrate into the skin and act as a photosensitizer, resulting in an increased production of free radicals. Free radicals can induce indirect DNA damage and potentially contribute to the increased incidence of malignant melanoma (Skin Cancer) in sunscreen-users compared to non-users, according to Wikipedia. Oxybenzone - Oxybenzone is a sunscreen ingredient associated with photoallergic reactions. This chemical absorbs through the skin in significant amounts. It contaminates the bodies of 97% of Americans according to Centers for Disease Control research. Possible human photoallergenic toxicant, human endocrine disruptor, animal studies show cardiovascular effects at moderate doses (low dose studies may be unavailable for this ingredient, wildlife and environmental toxicity, penetration enhancer, absorbs into the skin, allergenic reaction when combined with sun exposure, can irritate contact dermatitis. Oxybenzone increased absorption of 2,4D in those exposed to pesticides. Peg-40 Stearate - Restricted in cosmetics; use, concentration, or manufacturing restrictions - Not safe for use on injured or damaged skin. Suspected to be an environmental toxin, skin or sense organ toxicity hazards suspected, organ and reproductive toxicities found in animal studies. Dimethicone - Classified as expected to be toxic or harmful, suspected to be an environmental toxin and be persistent or bioaccumulative, linked to non-reproductive system toxicity, Toxic to wildlife, Usage in cosmetics is restricted, Data gaps: more studies have yet to be conducted to assess its safety. Butylene Glycol - Can cause irritation of the eyes, skin & lungs, brain, nervous system and behavioral toxicities found in animal studies . 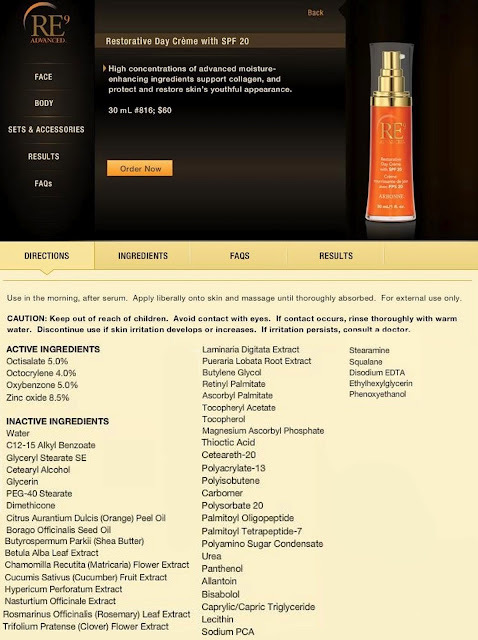 Retinyl Palmitate - Rated an 8 on ewg. Produces excess reactive oxygen species that can interfere with cellular signaling, cause mutations, lead to cell death and may be implicated in cardiovascular disease. possible carcinogen, absorbs into the skin, Scientists found an increase in skin tumors in animals treated wtih retinoic acid in a study using a protocol to mimic human use of the ingredient. Ceteareth-20 - Restricted in cosmetics; use, concentration, or manufacturing restrictions - Not safe for use on injured or damaged skin, toxic allergen that can enhance the skin's absorption of other potentially harmful ingredients, can possibly be contaminated with the carcinogen 1,4-dioxane. Phenoxyethanol - Classified as toxic or harmful, the FDA has warned that phenoxyethanol can cause shut down of the central nervous system, vomiting and contact dermatitis. Often times the reps don't even know the COMPLETE ingredients, so whether it's a friend, a sales rep or the company themselves telling you something is "safe" and "pure", always ask for a complete ingredients list before spending your money on any product. It's your skin, your body and your right to know. Go for certified organic cosmetics whenever possible and look for completely natural with as many organic ingredients as possible. My name is Bronwyn Moffatt from Winnipeg Manitoba. I agree 100% that the site NEEDS to make the ingredient lists 100% available to the consumer. I have been a Professionally Trained MUA for 8 years, I attended The Blanche MacDonald Centre in Vancouver. After my Special FX program and learning how DAMAGING it was to the skin I had to learn how to heal skin. I needed to know more, if something doesn't WOW me I check out. I went to school to become a Professional Skin Tech, learning of skin diseases and disorders ingredients etc. Then at school one day a presentation on foot relfexology. Guess what? Took that program too through The Reflexology Association of Canada. I too was approached after being hired to do 2 free lance Make Up gigs for Arbonne. Me being the BIGGEST cynic and skeptic was reluctant when approached by my Arbonne Team. They couldnt beleive how I could speak to a product Id never seen or used before. Within 3-5 days I was in. Once being a Consultant , then you have access to all ingredient info. So I made and had bound Product knowledge books for my Clents. Many booklets one for each "Category" As I too believe the info MUST be attainable to make a claim. If there is any info you'd like in depth including ingredient lists etc. Let me know. Ill email them to you. Anything you need I have your back. Knowledge is power. So far only Consultants have direct access (ha, and my Clients) because I provide it. If we claim it the proof is in the pudding and with no pudding how do we get the "buy in". We potentially create skeptisim. Although the full ingredient list is on the package once you've ordered it. You want to see it first and I get that. Some people don't care as long as it works. Some people care so I make it available to them if they should ask. Anything I can help you with don't hesitate to contact me and Ill get you what you need. PS call, text, email anytime. Are you claiming that the ingredients listed in the example above are not harmful? No, I'm claiming they are indeed harmful.